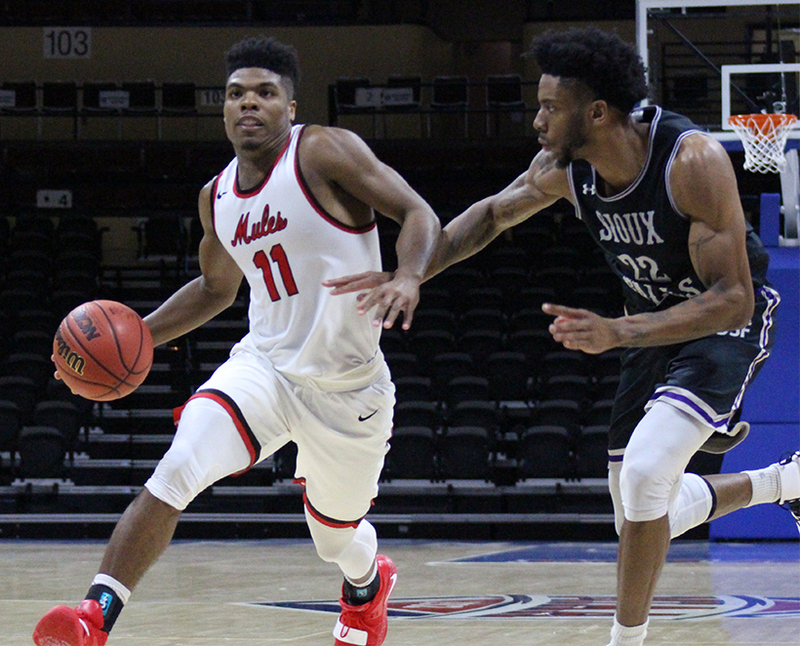 Not many college basketball players get to make four different stops in their short careers, but Mules graduate transfer Jafar Kinsey is making the most of his final stop as a college athlete. Kinsey was one of six additions to a Mules team that needed to fill the holes left by departing seniors Clarence Smith, D.J. Richardson and Spencer Reaves. Prior to this season, Kinsey spent the last two seasons playing with Division I North Dakota University. At MIAA Media Day, Mules head coach Doug Karleskint said he expected Kinsey to be a strong guard that plays downhill and is able to get to the free-throw line frequently. Kinsey has taken his share of foul shots in his first seven games with the Mules, making 31 of his 40 attempts. His ability to drive to the basket and create contact was on display in the Mules’ last three contests where he drew 28 of those free-throw attempts. Kinsey is averaging nearly six free-throw attempts per game through the first seven games of the season. Kinsey said drawing contact is a strength of his game and getting to the line is an expectation. “They definitely count on me to get downhill, get in the gaps and draw fouls for the team,” he said. Kinsey said nerves were on his mind in the Mules season opening win over Harding. His four points marked his least productive outing of this young season. 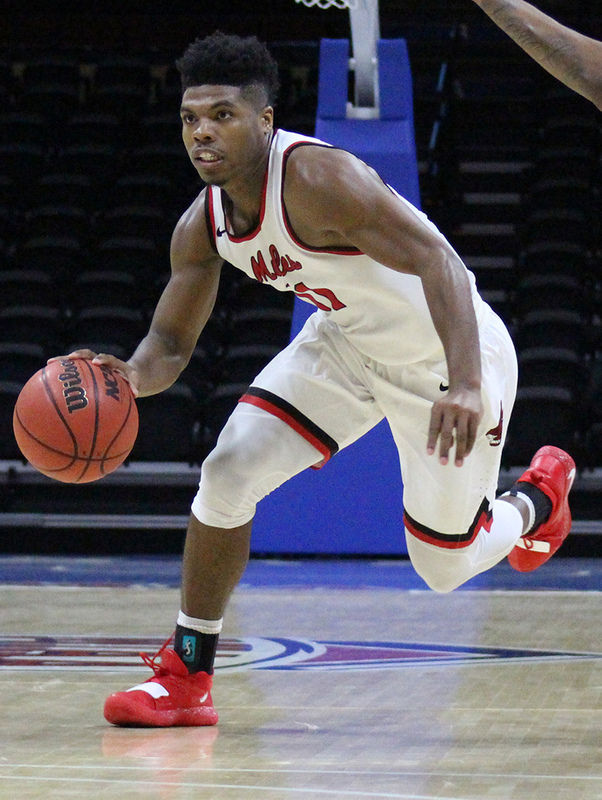 Graduate transfer Jafar Kinsey is the Mules leading scorer through seven games with 14.4 points per game. Since that output, Kinsey has scored in double figures in each game and eclipsed 20 points in two of them. He put together his first double-double with the Mules in their loss to Sioux Falls on Nov. 19. His season-high in points came less than a week later in the Mules loss to the University of Missouri – St. Louis when he scored 23. Kinsey is averaging 14.4 points per game and 5.5 rebounds per game. “After getting the first game under my belt, I just relaxed a little bit and I think that played a role in me playing well the last couple games,” Kinsey said. Kinsey has transferred three times in his college career and said that changing teams so frequently presents a number of challenges. Kinsey began his college career spending one season at Division I Robert Morris before transferring to the junior college level and playing a season with Des Moines. Kinsey said his decisions to transfer are rooted in finding opportunities. The Mules were in on Kinsey quickly after he graduated from North Dakota in May and had expressed interest in using his graduate transfer option. Kinsey’s season with the Mules will be the last of his college eligibility and his expectations of the team are high. “I think we’ll continue to play hard. Come to practice, learn every day, get better and hopefully win some more games,” he said. Kinsey said regardless of the challenges of playing for a fourth team in five seasons, he wants to enjoy his final season of playing college basketball.